Tees have been enlarged. 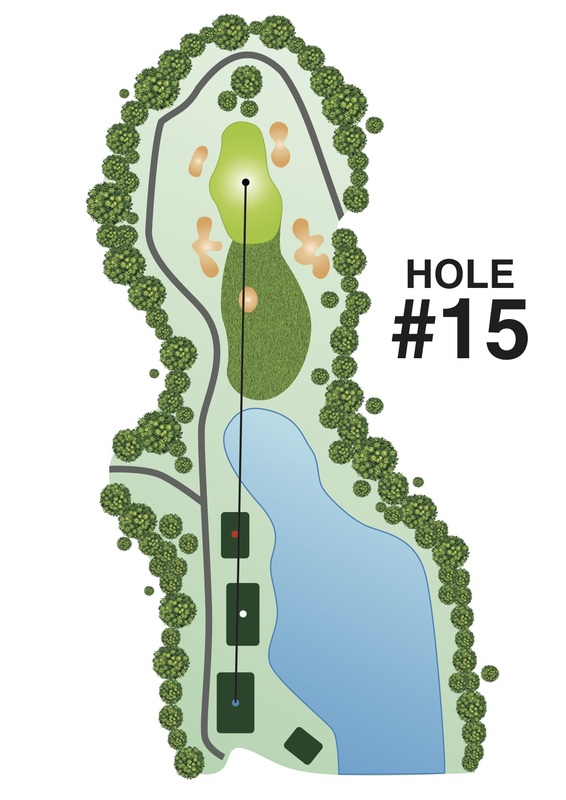 Wetland area in an extended pond in front of the red tee, extensive shaping and mounding, and tree planting on both sides of the fairway greatly improve the aesthetic view of the hole. The fairway is now wide and undulating. All tee drains have been removed and replaced by hollows and underground piped drainage. The buggy path is relocated to the left of the large palms, making the green-site more expansive and the access more attractive. All greenside bunkers have been reconstructed with one very prominent pot bunker at the front. The old green and its surrounds were very bland. In contrast, the new green is now very large with long curving paths, providing a variety of pin positions that are probable.